Win an 1 fl. 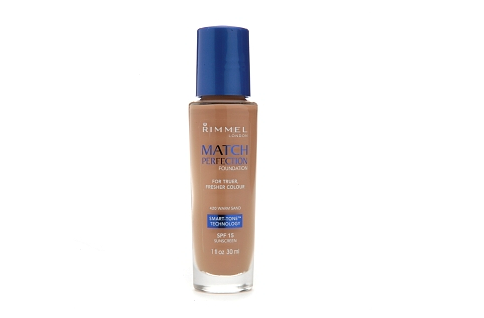 oz bottle of Rimmel London’s Match Perfection Foundation – 420 Warm Sand. For Truer, fresher Color. Smart-Tone Technology, SPF 15 Sunscreen.